If you are a parent of a little child, I am sure you have been in this scenario before – enjoying our sweet time touring the famous attractions and suddenly our baby crying frantically, desperate for a few sips of milk! In this case, I am always thankful for the handy and reliable bottle warmer. Finding the most well-functioning bottle warmer can be quite a challenge, but I managed to list down my top 10 favorites in this Best Travel Bottle Warmer 2017 Review Article. 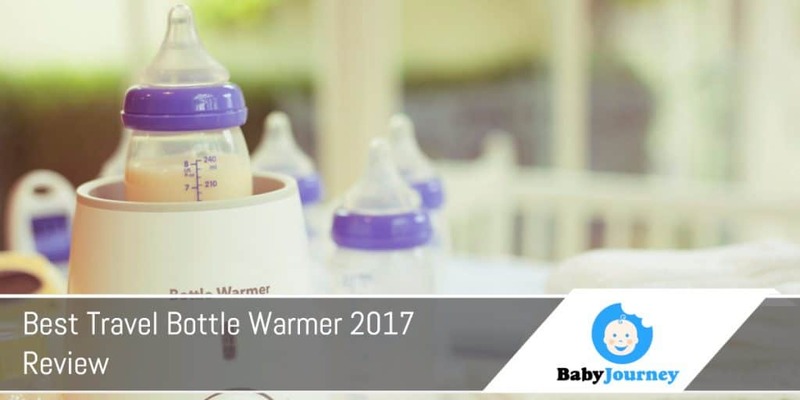 When it comes to choosing the best bottle warmer for your little one, it is not as straightforward as picking a regular warmer. The size should be compact. It should fit well in your handbag or backpack. The warmer should also be lightweight. Remember, you will be carrying it with you as you are having a vacation or going out to restaurants with friends. Having a cord-free feature is ideal since you will not be able to find a power outlet as easy as when you are at home! You can also try to find the one with a car heater adaptable. I find it to be very convenient when you are on the road. It should be able to warm milk evenly without creating any random hot spots. Besides the heating performance, watch for the heating speed. It should be able to get the job done in under a few minutes. So, the above criteria are helpful to have when you are out and about, running errands in town with your son or daughter, or while traveling to your favorite holiday destinations. How to Use a Travel Bottle Warmer? Another thing about purchasing the best bottle warmer is that you should know how to use it. For your information, a milk bottle warmer functions in three different ways. Some reheat milk by using batteries, some using thermal and others use electricity. For traveling, it is ideal to go for battery-operated or steam based warmers. 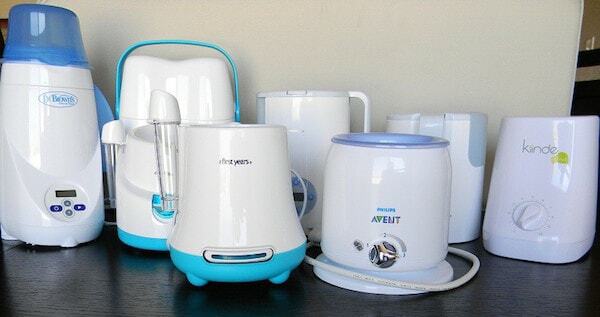 You can still purchase an electricity based warmer like Dr. Brown’s or Philips Avent if you’d like to. But, keep in mind that you might only be able to use them while you are in a hotel. The best thing about the warmer that uses electricity is that it can reheat the milk quite quickly and efficiently. In comparison, a steam-based one can be quite slow in warming your baby’s milk. If you prefer something that is simple and can serve basic functionalities, a go-to warmer, like Tommee Tippee, should be enough for you. If you are like me, who love to enjoy a little of bells and whistles in a product, we can always go for something more. It is best to have a memory system that remembers the previous setting. Ideal for working moms who are busy (Dr. Brown’s Warmer has this feature!). A single click will reheat your milk bottle efficiently and consistently. A timer that allows you to keep track with how long you need to wait before feeding your baby. It also reduces the risk of overheating – when accidentally left unattended. Easy-to-clean feature. Over time, there should be no residues or stained. Plus, each corner should be easily reached. If you can get all the features above at reasonable price, I would say, go for it! You will not regret it. So, without further ado, let me present to you the top 10 bottle warmers of my choice. They are affordable, easy to use, and works efficiently in warming bottle milk. The First Years Quick Serve Bottle Warmer is on top of my list because of two solid reasons: super low price and efficient heating performance! Buying breastfeeding appliances for out little ones can be very expensive, but this brand releases the financial burden a little bit. At just about $12, you can use this travel bottle warmer anywhere and anytime. I love how compatible it is with various shapes of milk bottles. You can easily fit a wide-neck (think Tommee Tippee) and slim bottle in it. Plus, it also works well with the disposable types. 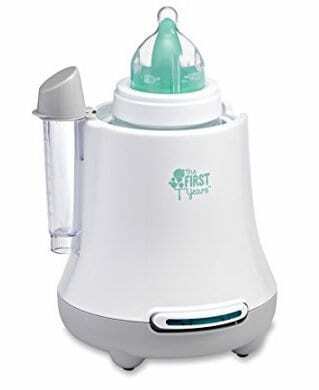 The First Years travel bottle warmer boils water at first and converts to steam mode to heat your baby’s milk evenly. It takes about 2 minutes to finish, which is perfect for impatient little ones! 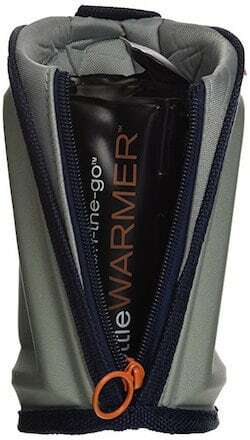 The second top choice of my best travel bottle warmer is the Prince Lionheart On-The-Go. Do you know why I love it so much? The look of it is so masculine that I am sure my husband would never hesitate to use it and feed our baby! Besides the stylish design, it is also great due to its travel-friendly feature. Firstly, it does not require any power source. It uses a warmer pack to heat up your baby’s milk. To use it, you will need to boil the heating pack for and insert it into the bottle wrap. This pack will do the job for you. It can last for about two to three hours, which is ideal for your trip. Plus, some users have also commented about how they can take it on the plane without any issue with the customs! 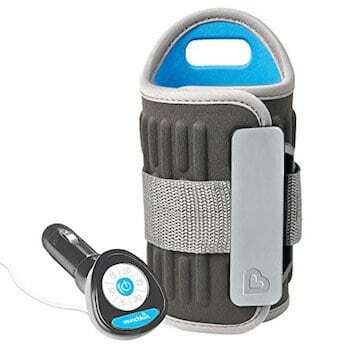 Besides than the two best travel bottle warmers above, here is another great option for you, the reliable Chicco NaturalFit Digital Bottle Warmer. Now, this Chicco milk bottle warmer might not be suitable for you while you are actually on the road, driving the car or boarding the plane. But, it can be a great heating source for your baby’s milk after checking in to your hotel room! As long as you have a wall plug, you are ready to go. I love how efficient this bottle warmer in providing a hot milk to my baby. It comes with an auto shut-off to avoid overheating. Plus, there are about 12 different heating modes for you to choose. I mean, how convenient is that? It’s like you are carrying a milk-friendly microwave with you while traveling! Most importantly, it is not too bulky or cumbersome. You should be able to squeeze it into your luggage. 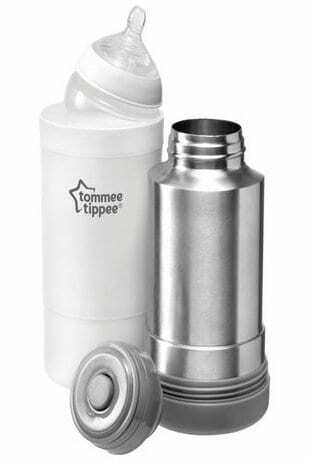 Capable, simple, and multipurpose are three main keywords that I love to use to describe the next top travel bottle warmer – Tommee Tippee Travel Bottle and Food Warmer. Since it is compact and slim, you can always rely on Tommee Tippee to be your travel companion. It comes in two different parts, which are the stainless-steel thermal flask and the plastic bottle. All you need to do is to pour boiling water into the steel container. It will use the steam to reheat the baby bottle that you insert into the plastic compartment. It is easy to use and hassle free! Plus, you can also warm baby food for your toddler. You can put the baby food in a jar that can fit well into the plastic bottle. I also love how well it works with various Tommee Tippee milk bottles! At about $12, it is also wallet-friendly, don’t you think? So, are you looking for the best travel bottle warmer that can be used inside your car while you go from town to town? I think Munchkin Travel Bottle Warmer is worthy of your consideration. It comes with a built-in car plug. 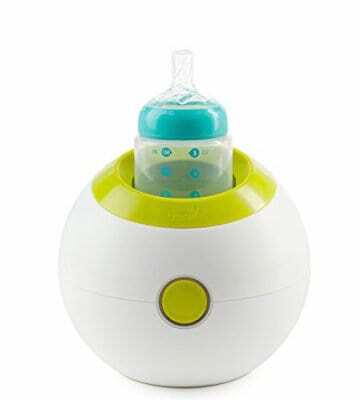 You can insert it into your vehicle power outlet, and after a few minutes, it will serve warm milk to your little one! The fact that it does not require any wall power outlet makes it an excellent travel partner as you can use it anywhere and anytime. Design wise; it does not look bad either. It reminds you of a big water tumbler but comes with a thick polyester heating wrapper! One of the coolest features that I love on this simple but reliable bottle warmer is the timer and temperature display. I found it be very handy especially if I am using it at night in the car. Straightforward methods of heating – wrap and ready! 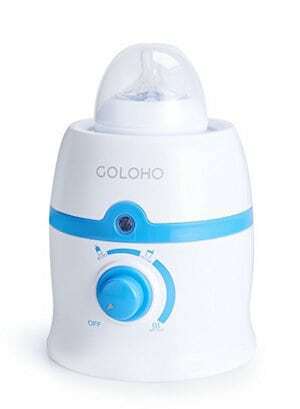 Goloho Baby Bottle Warmer is a small and lightweight product. I find it to be one of the best travel bottle warmer for 2017 because of this reason alone. You can fit it into your handbag, diaper bag, picnic basket, onboard bag or luggage! Most importantly, you can ensure that your baby receives it warm and hotspot-free milk in just a few minutes when using the Goloho bottle warmer. I love how smart it is as it comes with a sensor that can detect overheating and execute auto shut-off. It gives me a peace of mind, knowing that it will prevent overheating and causes scalding to my baby! Works perfectly in thawing and reheating milk! Cute and tiny are the two perfect definitions for Boon Orb Bottle Warmer. I think this Best Travel Bottle Warmer 2017 Review will not be complete without including this product. It looks beautiful and neat with the green neon color scheme and sleek, sphere shape. In front of it, there is a single push button that you can click to activate it. 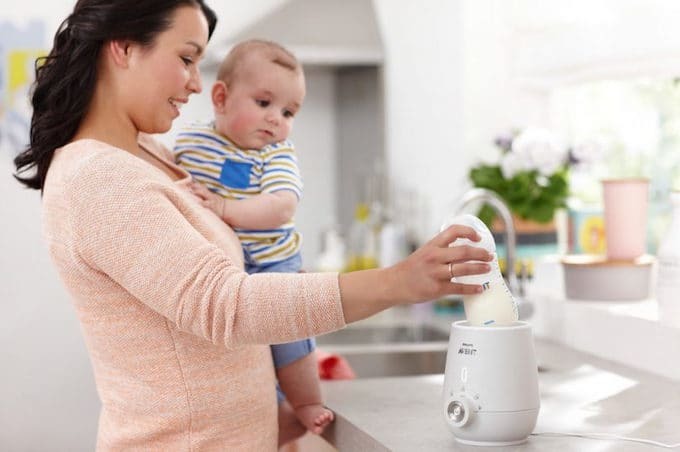 It uses a steam technology to provide an even and zero hotspots baby milk. While it may look simple and too minimalistic, I love the fact that it is still versatile. You can easily use the included basket to reheat baby food for your bigger kids. Plus, you can insert most regular, wide-neck and slim bottles into it. There is no need to purchase a special bottle for this warmer. The only downside of it is that it requires a power source to function. Again, I think it is suitable for hotel use, instead of while you are on the road. Another best travel bottle warmer that I would like to recommend in this 2017 review is the Maxx Elite Gentle Warm Smart Bottle. 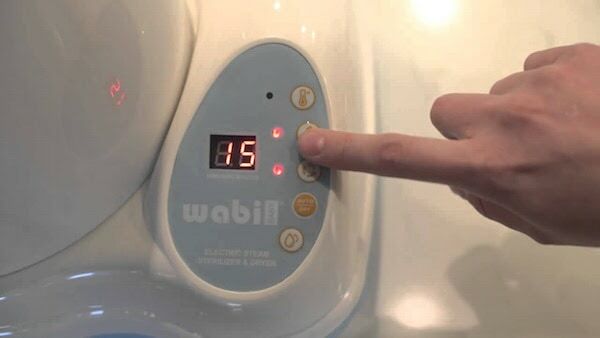 If you are hygiene freak like me, I am sure you will love the sterilizer feature! It keeps the bottle clean and free of bacteria and at the same time, does not overheat your milk. Another perk of using the Maxx Elite Gentle Warm is that it can quickly reheat your milk. Let say you try to thaw your frozen breastmilk; it can get the job done under just 10 minutes. It is handy especially when you are traveling and needs the milk to be ready instantly! The design and functionality of this top travel bottle warmer are simple and quite basic. There is no display or timer. But the LED indicator will turn solid green when your milk is ready. 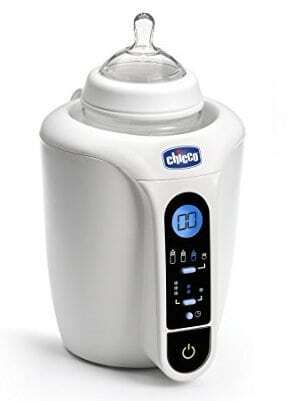 So, if you need an upgrade version of the similar baby bottle warmer, you can opt for Maxx Elite Digital instead. It comes with several extra features like the bright LED display. 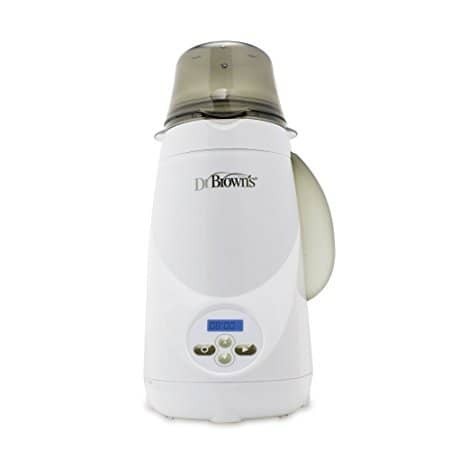 Dr. Brown’s Bottle Warmer, is without a doubt, the premier product of travel bottle warmer. For me, it is like the BMW of baby milk warmer! It has a backup of many years manufacturing experience under its profile, so it is one of the best travel bottle warmer out there! Firstly, the size is still acceptable for you to carry it anywhere during your holiday. It is tall, slim and lightweight. Secondly, I love how efficient it is. The design of the bottle allows it to cater to many sizes and shapes of bottles. You can use it with Dr. Brown’s bottles or other compatible brands like Avent, NUK, and others. Many users also complimented the settings and features that it provides. You can choose to set the timer and then save it in the memory. This way, you can use the saved setting repeatedly and quickly! The LED panel gives you clearer sight when you are to use it at night in the dark hotel room. Just keep in mind that it requires you to plug it into the power outlet. So, how long does it take to warm up your baby’s milk? Just three minutes – I love it! If you are an exclusive breastfeeding mother, you might need a travel bottle warmer that suits well with your milk. It is a precious liquid, after all, so you do not want to have a lousy warmer destroying the nutrients in your breastmilk! 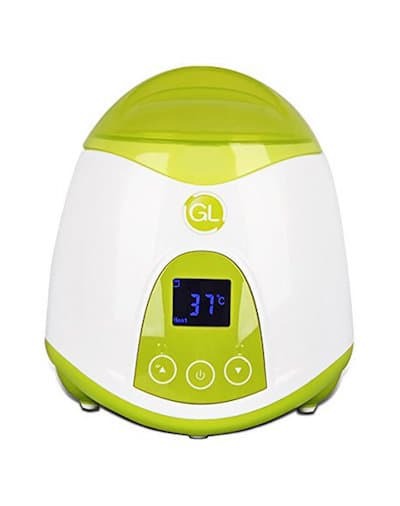 So, here is the ideal option for you, the Gland Portable Baby Bottle Warmer. It has been designed to provide gentle heating to sensitive breastmilk. How does it preserve the quality of your breastmilk, you ask? It comes with a sensor that will quickly heat and stop the heating once done! Besides than ideal for breastmilk, it is also perfect for mothers who travel a lot! On a first look, it may look like a space ship and quite bulky. But trust me – it is very easy to carry while traveling. At just 1.3 lbs., it will not take much space or weight in your luggage. Many users have complimented how versatile this warmer is as it can fit many types and brands of milk bottles. The only downside of Gland Portable Baby Bottle is that it comes with a power cord. So, as long as you are traveling to a country with a three-pronged plug, it will work just fine. As you can see, there are many best travel bottle warmer options that you can purchase. They are suitable for long vacation trips and providing warm milk to your little one. Out of them 10, the First Years Quick Serve Bottle Warmer is my absolute favorite. There are three top reasons why I love this brand so much. First, it has the fastest heating time at 2 minutes. So, I can rely on it to quickly heat up the milk when my baby starts crying. Plus, it is highly compatible with many milk bottles out there. Meaning, I do not have to buy extra bottles just to use this warmer. And, it is very affordable at just $12, it can get the job done reliably and quickly as expected. With its compact size and lightweight body, I know this is the best travel bottle warmer that I should use for the next family holiday trip!